Ok so i have some news! I made the connection just like you explained and tested the output and it was steady at 3.3v. Great! Then i connected it to the connector and plugged it in into the pc - it made a sound, woohoo! I tried installing the wacom penabled driver (http://us.wacom.com/en/feeldriver/) but it said it couldn't find a compatible tabled device. Also, i tried inverting the connection on the data wires, but with no success (when plugging it in that way, the pc does not even recognize the device. Ok I think that this is actually good news believe it or not. 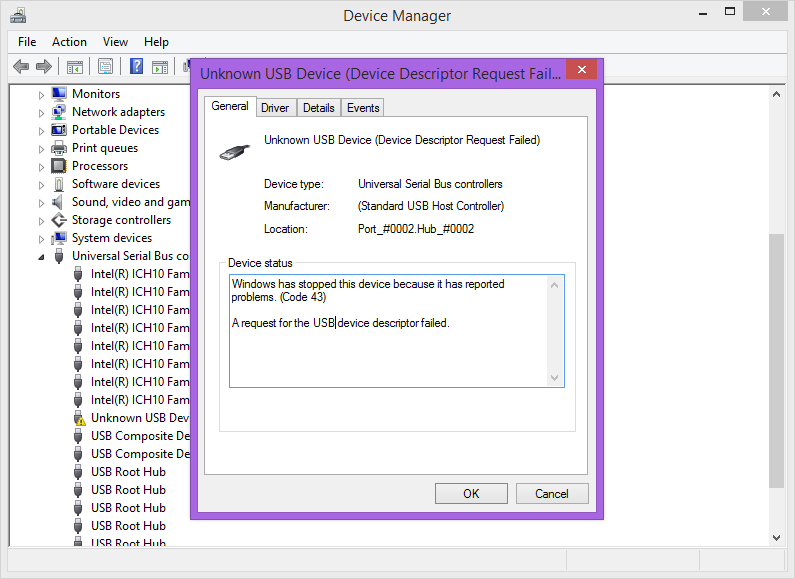 Windows has recognized that you have a USB device connected but is unable to find the drivers; this could be because the digitizer is not setup for plug and play the same way as an of the shelf tablet is. So, I guess we're talking finding the driver used by the Asus for the Wacom device. It looks like the feel driver is used for getting advanced features of the digitizer working, perhaps you have to have the basic driver working first which is why it reports no device detected. I'll see what I can dig up on the internet. So I was just looking at the pictures of the digitizer you posted at the beginning of this thread and I noticed that you say that the pins which the digitizer connector uses are 1,2,3,12,13,14, but I think you may have this wrong. Looking closely at the picture I think it should actually be 2,3,4,12,13,14. From the image it appears that pin one is not actually connected - assuming that the image of the connector is upside-down when compared to the image of the digitizer above it. When you checked the continuity of the pins did you do so from the connector or the wire plugged into the connector? Could it be that the USB pins on the connector are actually pins 3 and 4? Rather than 2 and 3. Also can I confirm that you have pin 13 as 3.3v and 14 as ground? Perhaps we need to investigate pin 2? Does that make sense, lots of numbers in this post. Yes, you are correct - it is actually 2,3 and 4. However, when i performed the continuity test i had the connector plugged in, so instead of counting the pins i tested it against the pins that had a wire in front of it (in this case, 3 and 4) which provided the results i mentioned before. I re-checked for continuity just now and the values are right - there is continuity for the data pins on the chip to pins 3 and 4, and those are the ones that i have connected to the USB data wires. What about pin 2? Any idea where this pin goes? That was another ground wire. I mentioned previously that it had 2 ground wires with no shielding inside the cable, those were pins 14 and 2 (not pin 1, as i stated before; pin 1 was empty). Ok so it's definitely USB only then. Have you tried uninstalling the device from within device manager, then scanning for changes? yes, i have. it still cannot find the device descriptor. Ok I'm not at a computer at the moment so I can't look at this software properly, but try installing USBview - https://msdn.microsoft.com/en-us/library/windows/hardware/ff560019%28v=vs.85%29.aspx. This should tell you what descriptors the device has. I'm not sure how useful this will be but at least it should tell us something about the digitizer. Another possibility to at least test if the digitizer works would be to boot of an ubuntu or other live linux usb drive. The included drivers work with all usb and serial wacom tablets (i testet a serial and a usb penabled digitizer and both worked. The serial one had to be attached using the inputattach command). This would help to identify if it's a driver or hardware issue. I am also currently downloading ubuntu so i can test XDjackieXD's suggestion as well. Will report as soon as a I have more news. Hmm, doesn't look like it's communicating correctly. Try it in Linux and see and I'll have a bit of a think on this. Is there any way to power up the motherboard of the Asus and measure the voltage at the motherboard connector? I'm wondering if maybe this should be powered with 5V instead of 3.3V. I wouldn't try this though until we've exhausted all options, or you measure 5V on the power pin. Did you tie pins 2 and 14 together or just use one of them for ground? I think they should be tied. Also, it bugs me that pin 12 is not connected. What is the purpose of pin 12? Hmmm. 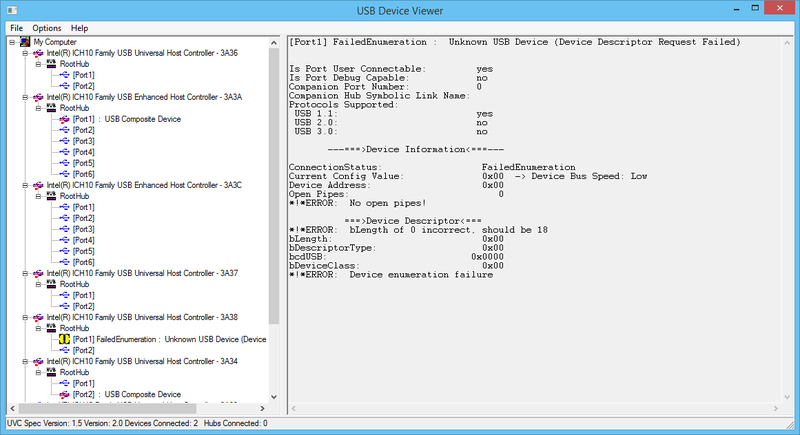 In both my serial and USB digitizers I did not connect pin 12 to anything and they worked. OK, so I couldn't get Ubuntu to recognize it, but I haven't used Linux before so I may have done something wrong. I was able to power up the motherboard and check the connector there - it putting up 3.3 volts, so that part should be OK as well. Pin 12 isn't connected to anything and I'm only using pin 14 for ground. Could that have an effect on the digitizer not being recognized?